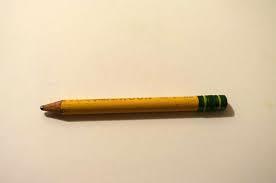 That’s not a pencil, it’s a MEDICAL DEVICE! Sooooooo, maybe there is a hint of sarcasm in my story, but let’s talk about what a medical device is and what the FDA really says. I was at one time a vendor, and while I was I said many of the same things about my system. Medical device… can’t patch… blah blah, FDA certification…. I truly believed everything I said. 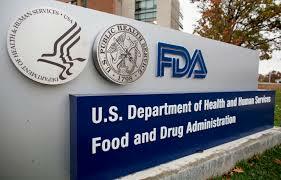 I had been told that by my company, and I had never read any FDA filings (at the time) so I was retelling what was for me the truth. Like my former self, many vendors have never read nor do they understand FDA process..
From that definition we could assume that yes, a pencil is indeed a medical device, or could we? Did the pencil do anything? Did it assist in the diagnosis? Not really, it assisted in recording it. Similarly, we have to look at the distinction between things that are used in the diagnosis vs what is supporting. Is a CT or Ultrasound a medical device? Yes, no question. What about PACS? The software is considered a medical device, but the hardware it is running on likely is not. Let’s examine a real 510(k) letter for a PACS. By the way if you want to look up the certification for your vendor, which I strongly encourage you can do so on the FDA website. What this means is that the software is a medical device, and when the SOFTWARE is patched it must be tested in accordance with General Principles of Software Validation linked here (Food and Drug Administration (FDA), 2001). The hardware that it runs on however, does not. You can run PACS X on any hardware that meets or exceeds specs and it has no impact on the FDA certification whatsoever! A vendor is well within their rights to provide an approved hardware list, but this is a support issue and not a FDA issue. This distinction is very important! Because the computer and operating system that run PACS software are not part of the 510(k) certification there is no requirement for the FDA to review security patches. There is a one page fact sheet that is very clearly written and I also encourage you to read here. In summary, your PACS software IS a medical device, however what it RUNS on likely is not. Especially given security concerns it behooves us all to read the FDA guidance and hold our vendors accountable to make sure that our devices are patched and up to date. No one wants to report to the CEO or CIO that their system was responsible for a virus or ransomware attack on the enterprise. Also surprising to me was that for all the secrecy and mystery surrounding medical devices and subsequent maintenance, the FDA website is surprisingly clear and easy to understand. Thank you for reading, please post comments and questions ! Posted on February 27, 2018 June 18, 2018 Tags #510k, #DeconstructedPACS, #EnterpriseImaging, #FDA, #medicaldevice, #PACS, #VNA14 Comments on That’s not a pencil, it’s a MEDICAL DEVICE!